Heritage is pleased to announce that it has completed the successful sale of OneSource Distributors to Sonepar USA. 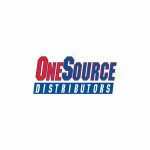 OneSource Distributors is the premier electrical and industrial products distribution company in Southern California, the largest and most attractive electrical usage region in the country. In 2006, OneSource’s two controlling shareholders desired liquidity. While one shareholder intended to sell and retire, the CEO wished to reinvest a portion of his equity, driven by his bullish outlook for his business and the industry. The prospect of relinquishing control to a third party, however, was a non-starter. Through its Private IPO® recapitalization structure, Heritage provided liquidity to the shareholders and capital for growth, while enabling the CEO to maintain voting and operating control of his company. 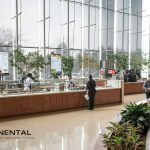 Over the past five years, Heritage and management have worked diligently on a number of key initiatives including the completion of two add-on acquisitions, augmentation of the management team through the addition of a CFO and COO, and implementation of financial and operational process improvement controls. Due to these initiatives, EBITDA more than tripled over the life of the investment and debt was reduced to less than 1.0x EBITDA. A competitive sales process led to Sonepar, a multi-national strategic buyer, acquiring OneSource. The OneSource management team will continue to operate the business post-transaction. 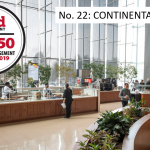 For nearly twenty-five years, Heritage has focused on partnering with growing family-owned or founder-controlled businesses through a unique structure called The Private IPO®. In a typical Private IPO®transaction, Heritage takes a minority equity position in the company via a substantial investment in common and preferred stock. Our approach provides shareholders with the desired amount of liquidity, resolves transition issues, and allows shareholders to maintain control and accelerate the growth of their company. Since 1987, the firm has assembled a portfolio of more than 50 investments with aggregate revenues surpassing $3.5 billion.